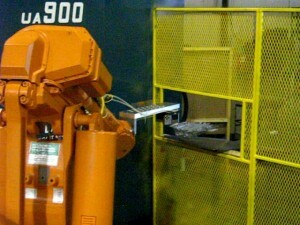 The Die Casting Tending Robot is used to automatically unload parts from a Die Caster. The robot allows new parts to be easily programmed. 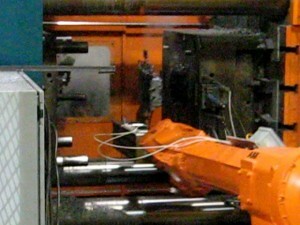 To see our Die Casting Tending Robot Videos please click here to request a private link.